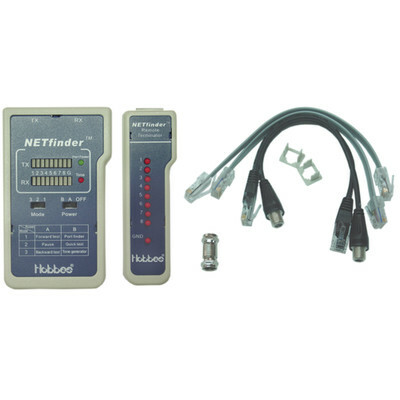 More Product InfoThis NETfinder Pro 3 test Sequences Tone Generator Portfinder will help you verify that all ethernet patch cables and in-wall installations are properly terminated. Use the included short ethernet cables to test between a keystone jack and patch panel. The NETfinder Pro 3 will tell you exactly which wire is not terminated properly if there is an error. This tester will also allow you to plug a finished patch cable in to look for shorts and mis-wirings.